MicroNeedling: Love your skin by poking tiny holes in it! Micro needling is based on the use of very small needles to create micro channels (tiny holes) in the skin. The process stimulates your skin’s natural ability to heal itself and in the process produces collagen and elastin. This repair process begins almost immediately and results in a thicker, healthier skin and softened wrinkles or scars. 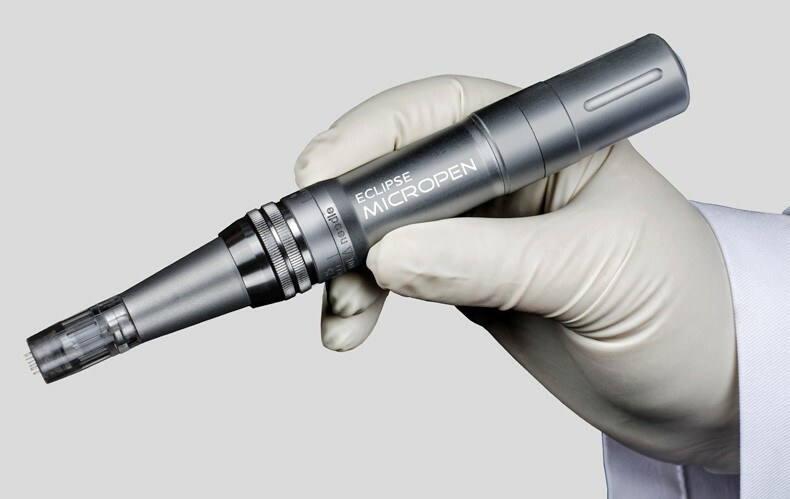 We use the Eclipse MicroPen™ for its predictable performance and safety profile. Who would benefit from treatment? Micro needling can safely be used on nearly all parts of the body and any skin type. Face, neck and décolleté are the most common areas treated. Anyone wanting to improve skin texture, small wrinkles, scars, or elasticity should try microneedling. We numb the skin with a topical anesthetic cream, making the procedure painless. You’ll likely look as if you have a sunburn following treatment. This can last the rest of the day, to several days depending on treatment depth. Treat your skin gently and avoid the sun following treatment. For more information or to schedule a consult, call us at BioRestoration Medical: 801-501-9797.